There are countless apps out there, and plenty of them deal with music. Whether it is teaching music, learning music, or making music, there are thousands of apps out there that can help you accomplish what you need. How do you weed through all the apps and find the best ones for learning music basics? It’s a long and hard process, but that’s why we researched and found an app that will fulfill your music learning needs – Dicing with Music. Let’s discuss about it. What is Dicing with Music? This amusing and educational game created for your iPad will help you for sure to learn and read music basics while having fun on this entertaining game without making you bored. Easy to use and learn, simple and highly addictive, amazing gameplay you can use to learn a few basic things about music reading. Just with listening and playing this game couple of times a day, users can learn fast and simple the music basics without spending money on music instructors. Have fun, enjoy the gameplay and learn the basics of music! More than a game. Also, this app is highly educational tool with many great features that could help all new music learners to progress in their music educational process fast. 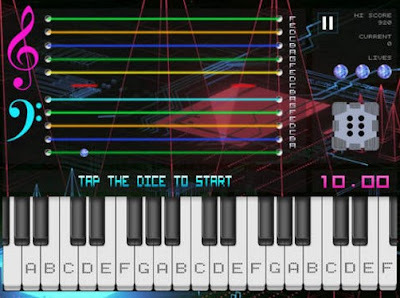 This game offers the users many levels that they pass while learning the positions of the notes on the music stove. While users play this game, the notes land on the stove and help the users visually remember their placement. 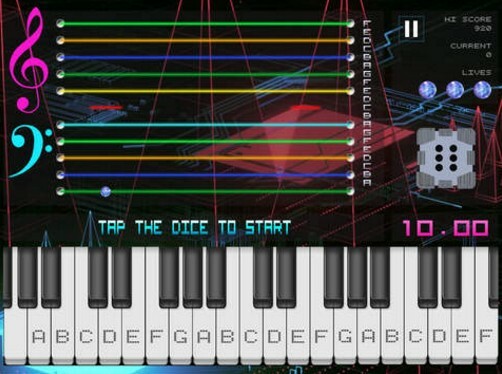 With a lot of levels passed on this game, more notes the users learn to read and place on the music stove. With learning the notes placement, the users learn to play the piano fast!